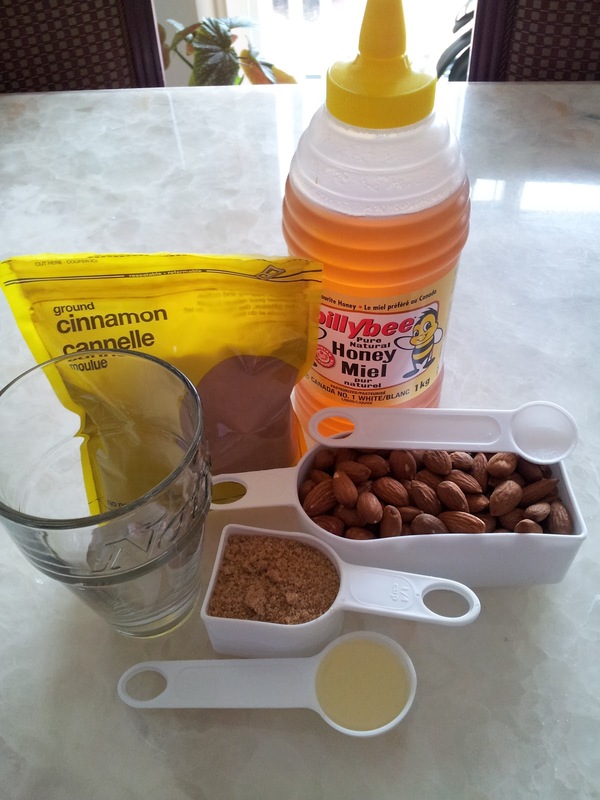 Eating healthy can be hard if you find yourself in a fast paced, on the go lifestyle. Almonds are a quick and easy way to pop some protein, vitamins, fibre and calcium into your day. This honey roasted almond recipe is not only simple and delicious but it is also a money saver as flavoured almonds can be quite expensive while buying bulk raw almonds are often about half the price, or less, per pound. 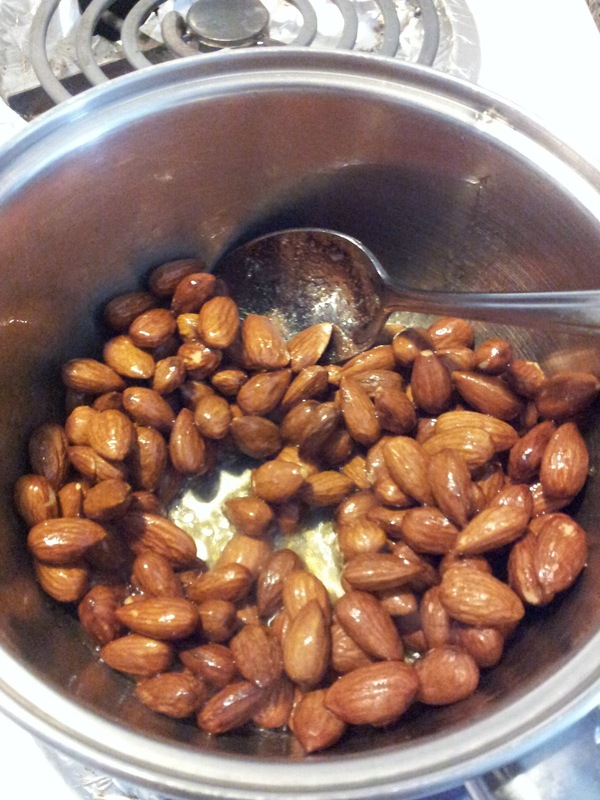 If you have purchased raw almonds simply rinse with water and spread them out on a microwave safe plate, microwave for 2-3 minutes (until the almonds are dry and give a good crunch when you bite into them). 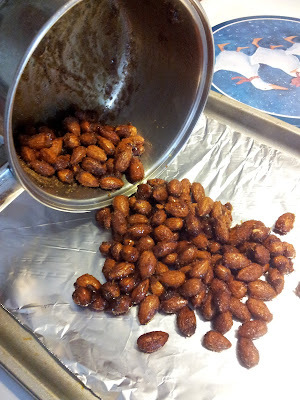 This is my mothers fast and easy way to roast almonds. In a small pot on medium high heat combine together oil, honey, and water. 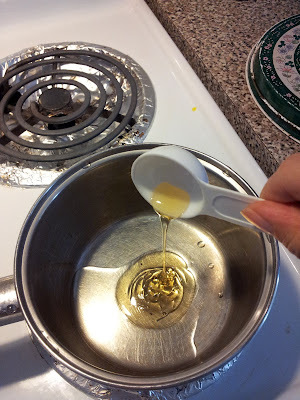 Stir ingredients together. Once your ingredients have come to a boil, turn the heat to low and add almonds to the pot. 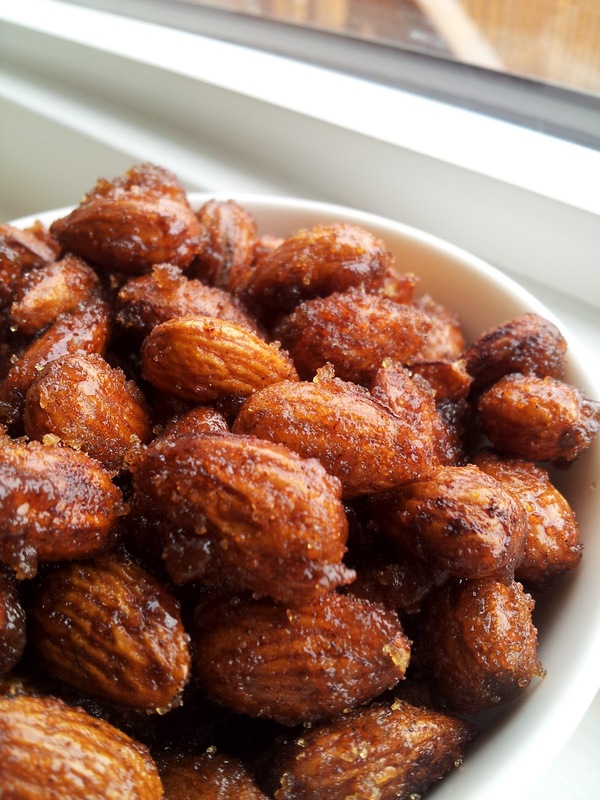 Stir the almonds so that they are fully coated with the liquid ingredients. 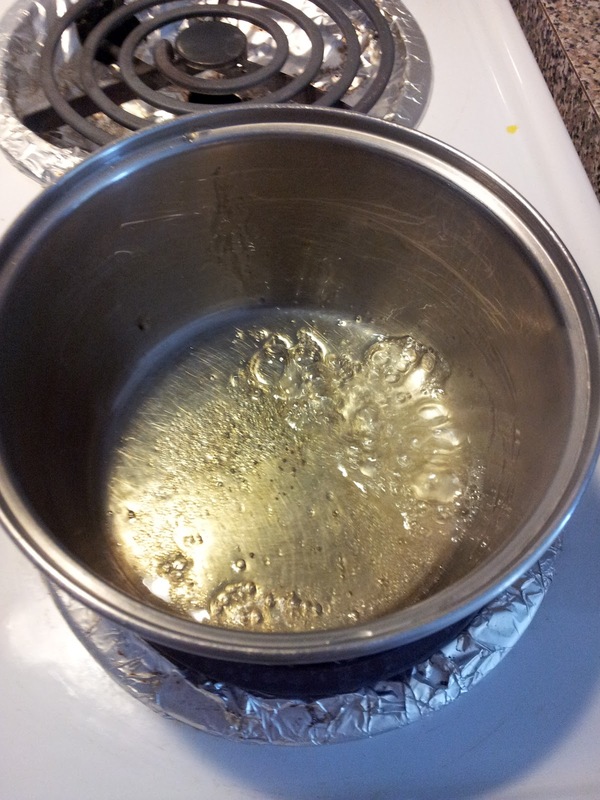 Continue stirring until the liquid has evaporated, leaving the bottom of the pot dry. At this point, turn off the heat and add in Sugar, salt, and cinnamon. Mix together until the almonds are evenly coated in the sugar. 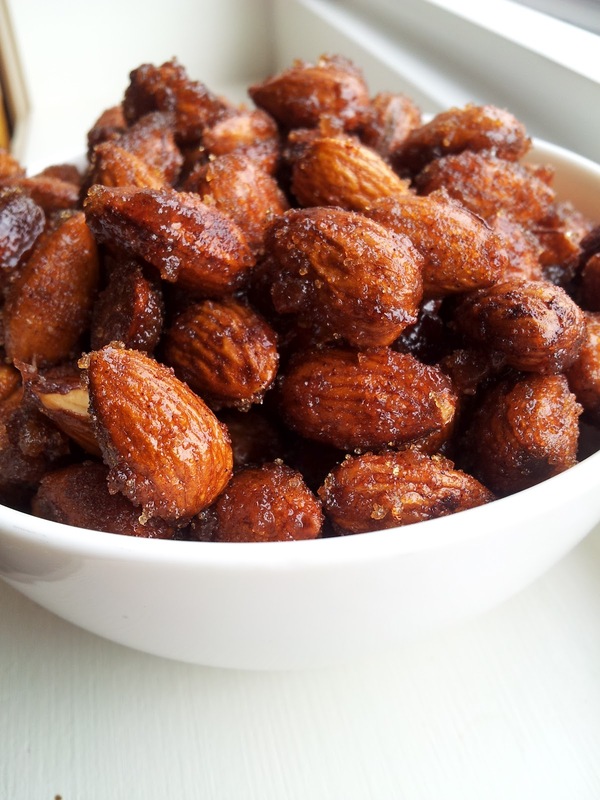 Pour the almonds onto a lined baking sheet, spread them out so they can cool. 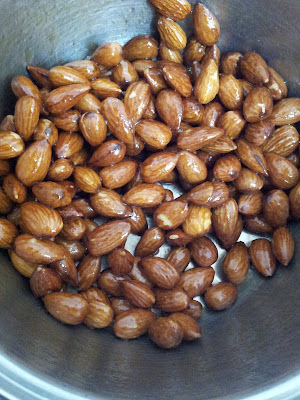 =) Looks amazing, thank you for sharing the photos. Hopefully I can make share something on my blog with you too! Gracias Silvia, no dejes de escribir! 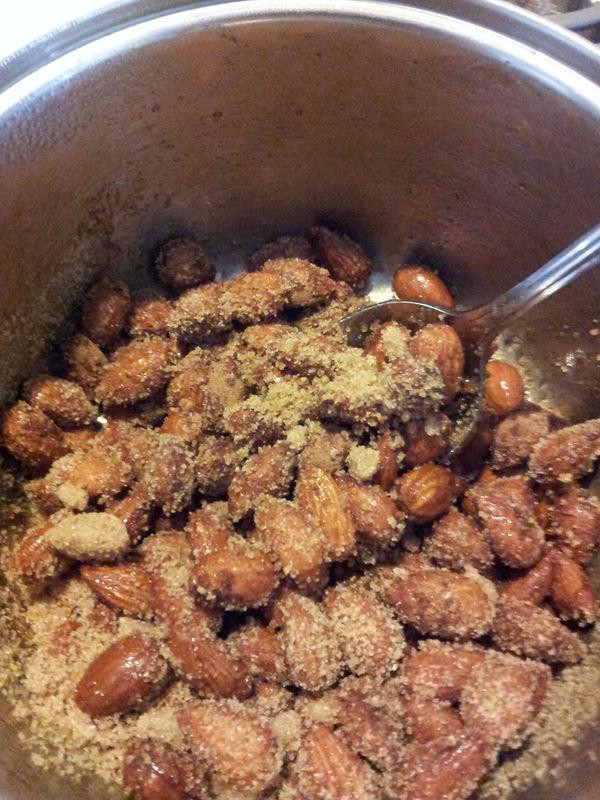 pinterest recommended this recipe to me. they were very easy and tasty! i envision making them quite a bit for fall & winter family gatherings :) thank you!